Mindfulness techniques such as meditation, hypnosis and yoga have been shown to successfully address many conditions that the natural compounds in cannabis have also been found to treat. SAN FRANCISCO, CA. / MJBizwire / May 26, 2016 — With over prescription of pharmaceutical drugs that often display disturbing side effects and toxicity in some cases, the search for natural healing solutions has become an important quest for the medical community as well as for those suffering. Mindfulness techniques such as meditation, hypnosis and yoga have been shown to successfully address many conditions that the natural compounds in cannabis have also been found to treat. Taking these similarities into consideration, the professionals at Zen 420 Healing set-out to develop an all natural healing technique that would harness the amazing powers of both cannabis and mindfulness. After intensive research, Zen 420 Healing is proud to introduce the first official cannabis-mindfulness brand, Cannabis Assisted Mindfulness™. 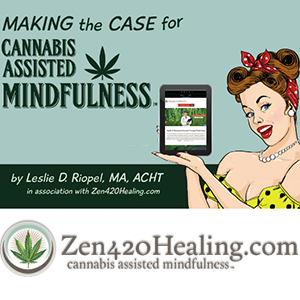 Cannabis Assisted Mindfulness™ is a powerful new all natural healing technique that involves pairing different Zen 420 Healing mindfulness programs with specific strains of cannabis as a way of reaching heightened states of consciousness, awareness and health. Custom Hypnosis, one of Zen 420 Healings best selling programs, is their most powerful healing product and one recommended for anyone facing severe distress or pain. These programs are written and recorded based on an individual needs assessment and direct communications with a licensed clinical hypnotherapist and Master’s educated wellness educator. Zen 420 Healing aims to educate the public about the remarkable natural health benefits that cannabis and mindfulness share while developing effective techniques that combine the two in order to care for a myriad of ailments and personal challenges. For additional information, visit https://www.Zen420Healing.com or contact Christopher Roesner at Chris@Zen420Healing.com.